Longtime Clemson supporter Betty Poe of Greenville might not be a Clemson alumna, but you’d never know it. She knows what being a member of the Clemson Family is about, and her volunteer efforts and gifts are evidence of that. This spring, she made the second Cornerstone gift of $2.5 million to Clemson Athletics for facilities. Cornerstone gifts are a vital part of the new athletics facilities initiative, which includes new facilities, upgrades or rebuilds planned for football, basketball, baseball, tennis, soccer and Vickery Hall, the most comprehensive change ever undertaken at Clemson. A retired insurance executive, Poe served as co-chair of the leadership phase of the Will To Lead campaign and on the foundation board at Clemson, following in the footsteps of her husband Billy in commitment to his alma mater. With this gift, her lifelong giving has eclipsed $5 million, in appreciation for which she will be inducted into Clemson’s Trustee Oak Society. She has supported facilities such as Memorial Stadium’s Poe Plaza and student entrance gate and was a founding partner of the Barker Scholars initiative. She also served on the WestZone capital committee, leading the effort to raise funds for the football stadium expansion. Poe made her latest gift in honor of head football coach Dabo Swinney and his staff and in memory of her late husband, Billy “Tweet” Poe, a football letterman for legendary coach Frank Howard at Clemson in 1944-46. He was drafted into the Army and, after serving his country with distinction, returned to Clemson to finish his degree. 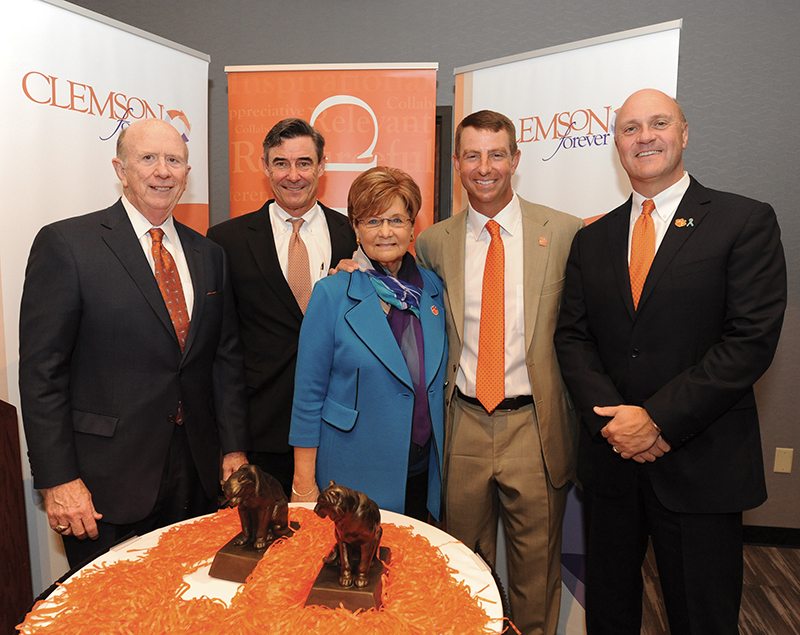 This Cornerstone gift is part of the Will to Lead for Clemson campaign.